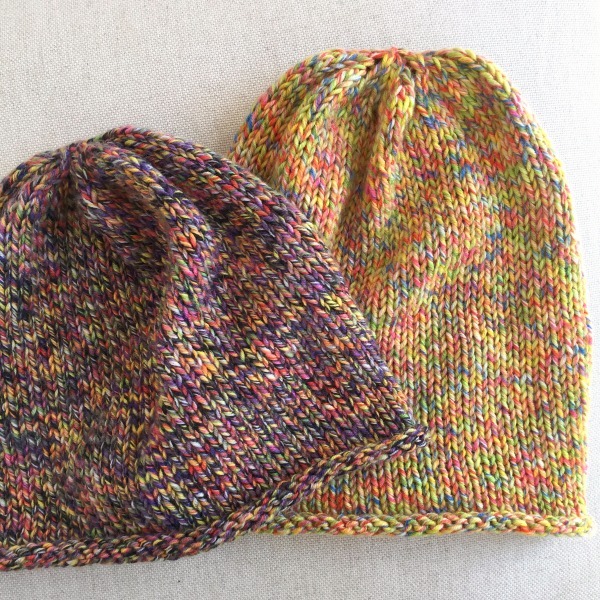 Above, Deb’s two happy hats in Bingo Funky Print using the Simple Slouch Hat pattern, free on Ravelry from designer Robyn Devine. Below, her elegant Rikke hat in our Classic Alpaca, luxurious 100% alpaca. 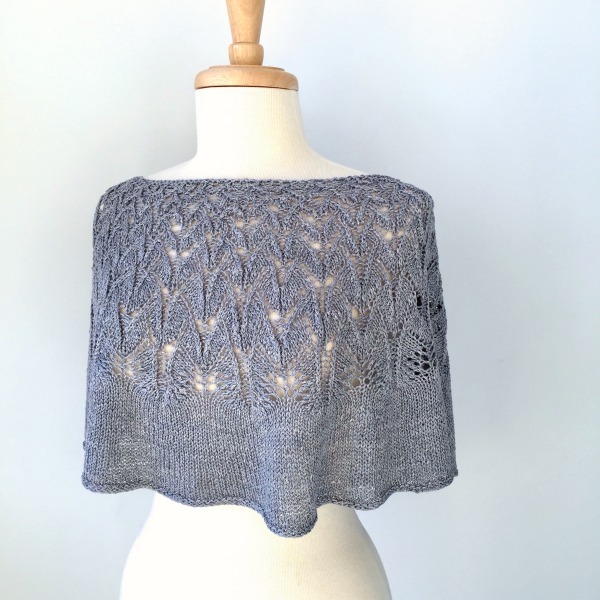 Sarah Young’s Rikke is another freebie pattern. 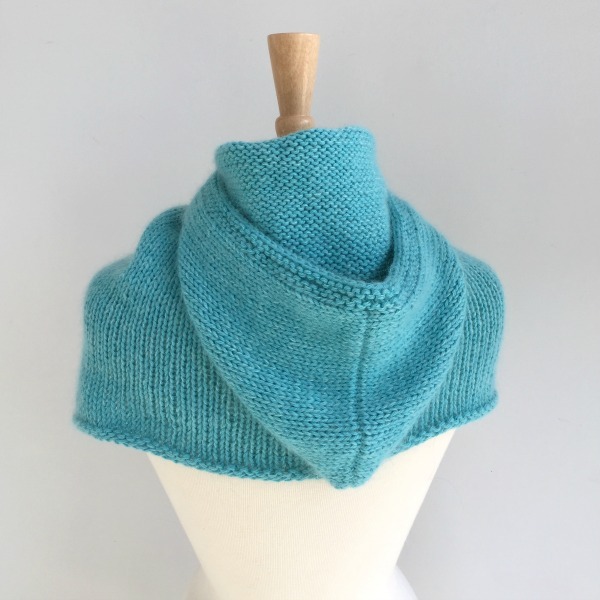 Bonnie used Brielle for her original design-as-you-go cowl that combines stripes with stranded knitting. I think the pattern needs to be written up and shared! 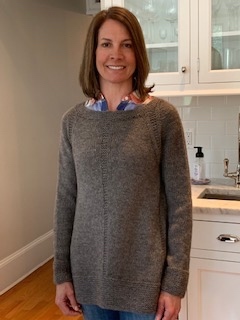 Also from Bonnie, this cute cardigan in Gomitolo Merino. Those ladybug buttons! 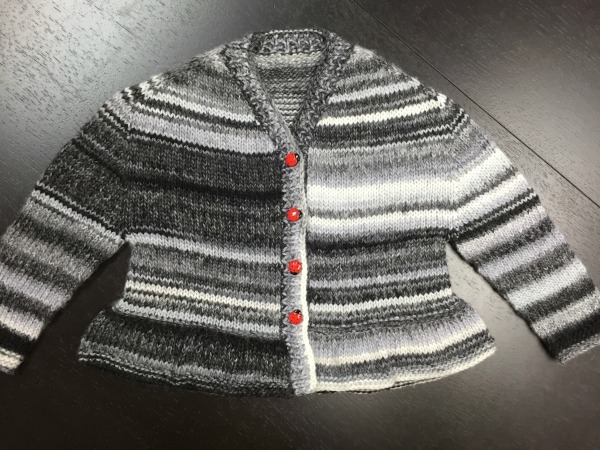 The pattern is 2502 Contiguous Baby Cardigan* from Vanessa Ewing. 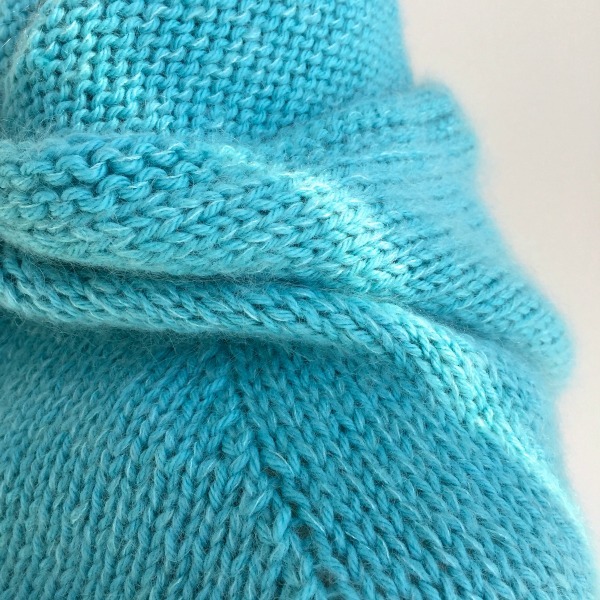 The construction includes a clever topdown, seamless shoulder shaping called the “contiguous method.” If that’s a new knitting term for you (it was for me a few months back) check out its own Ravelry Group, here. 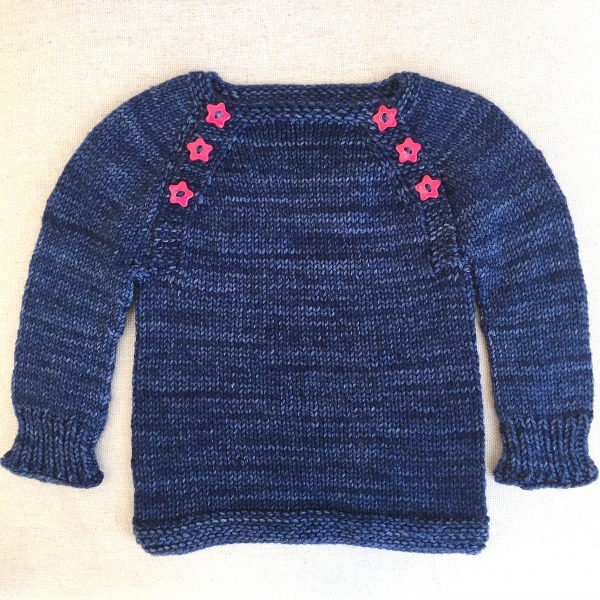 Another project from Bonnie’s needles, Winter Sunset* from Gabrielle Danskknit in beatiful Blue Jeans Rios – and, again, those pink star buttons are a perfect finishing touch. 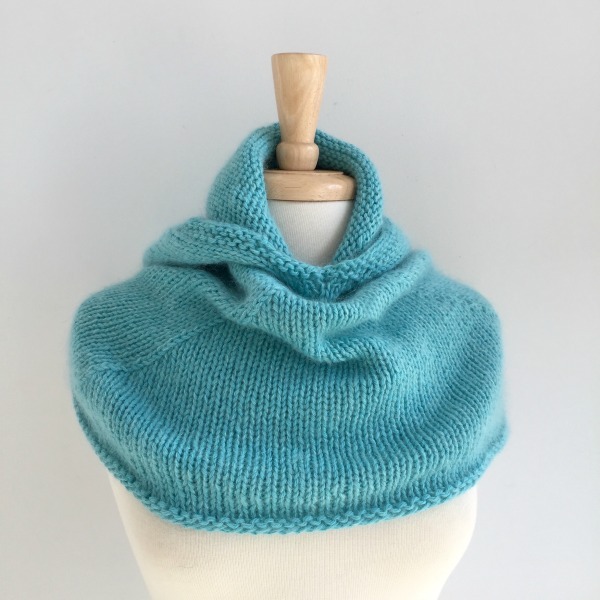 Berroco Vintage and Sugar Bush Drizzle, held together, was Bonnie’s genius combination for her cozy Basic Hooded Cowl, from Halliday Nelson. 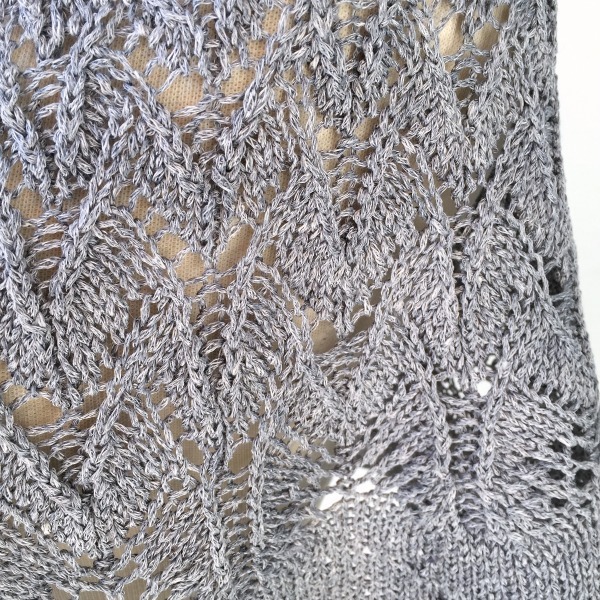 It’s another Ravelry free pattern. 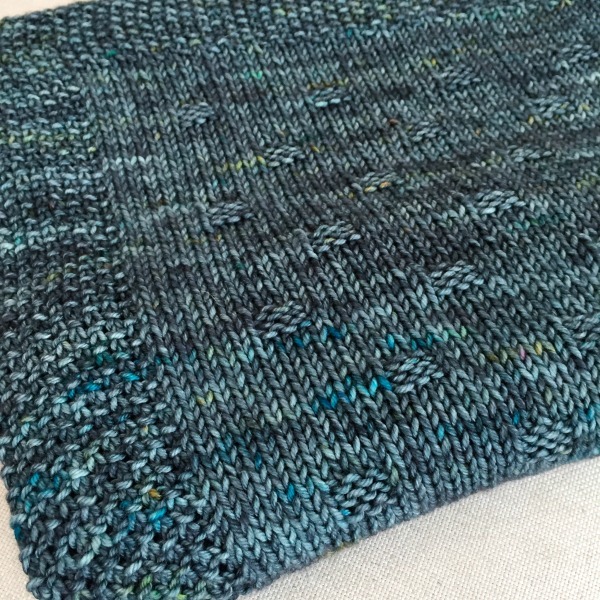 Jill & Brigid collaborated on our shop sample of Cinca* by Amy Christoffers. Four balls of Berroco Linen Stonewash created this beauty. 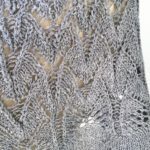 This yarn is going fast! It’s a DK weight chain ply, 100% linen, a big sister to the now-discontinued Shibui Linen we all loved so much a few years back. 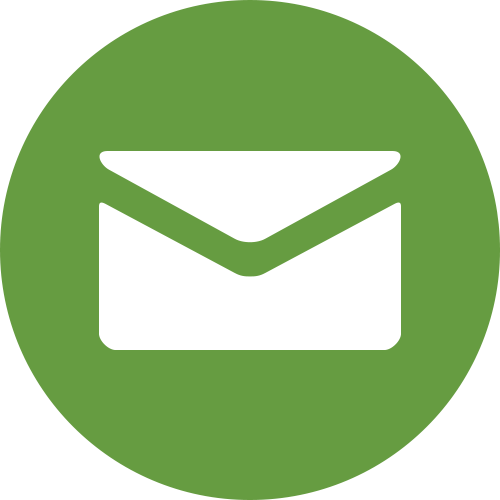 Can you spot the little boxes? 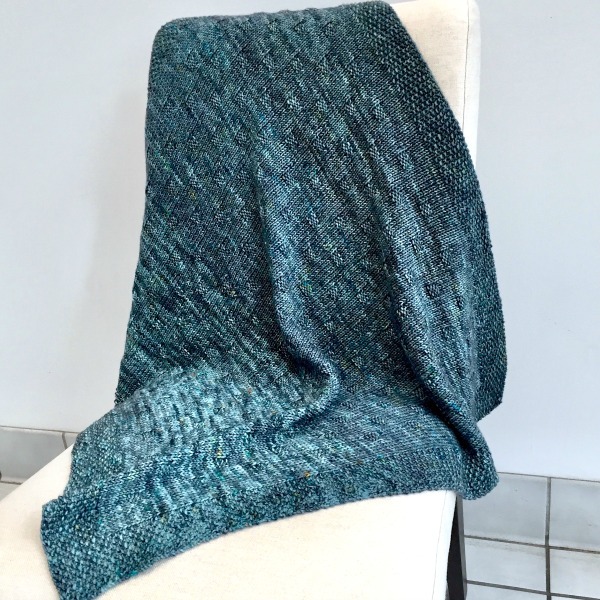 The clever stitch pattern of this Piece of Home* blanket from Fifty Four Ten Studio loves hand-dyed yarn, like this madelinetosh Vintage Jill chose. 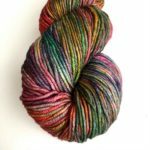 A good substitute would be Malabrigo Rios, but even a solid shade – Berroco’s Vintage or our new Pima 100 for a summery version? – would become a treasured favorite. 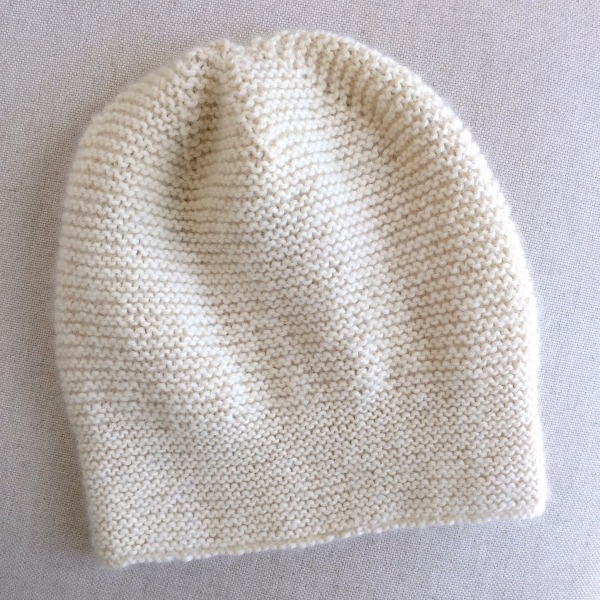 Ann W. made Heidi Kirrmaier’s Mountain High* in Ultra Alpaca Natural for her niece. That’s what I call a perfect fit. 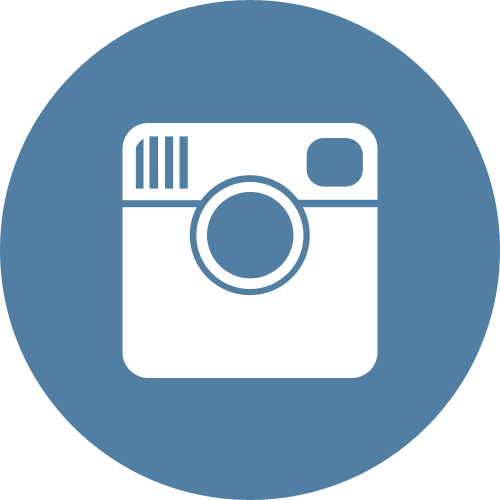 Thanks, Ann, for sharing this pretty picture. 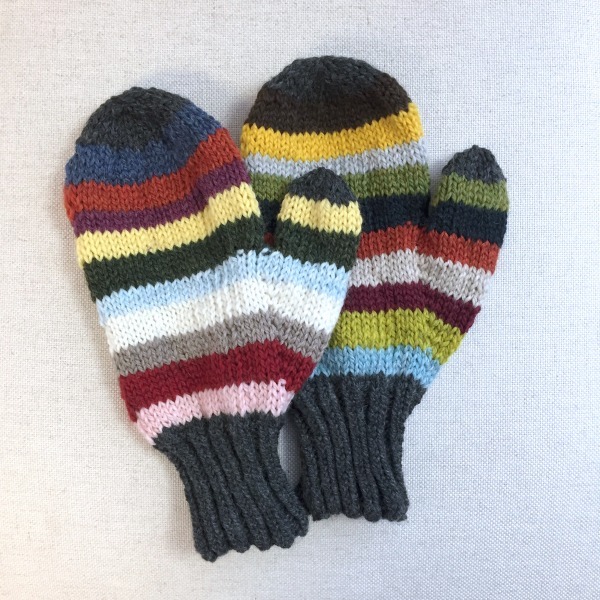 Gina’s 21 Color Mitts* are a great way to close this gallery of your finished projects. 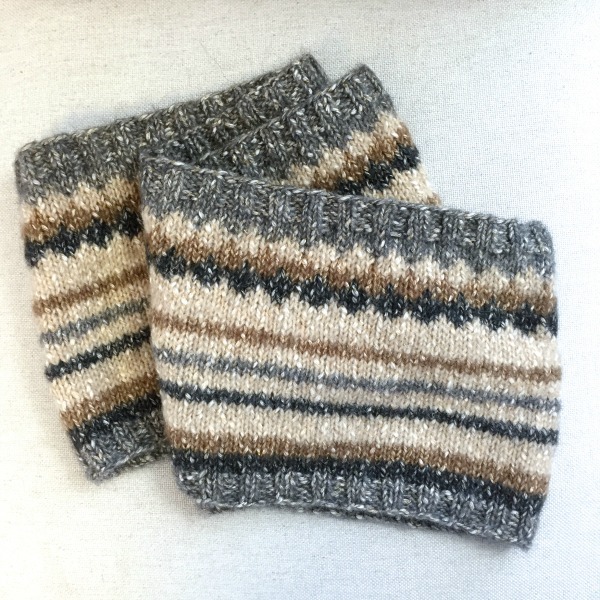 They were made using Blue Sky Fibers’ kit of Woolstok mini skeins, but what a great idea for any leftover worsted weight yarns! 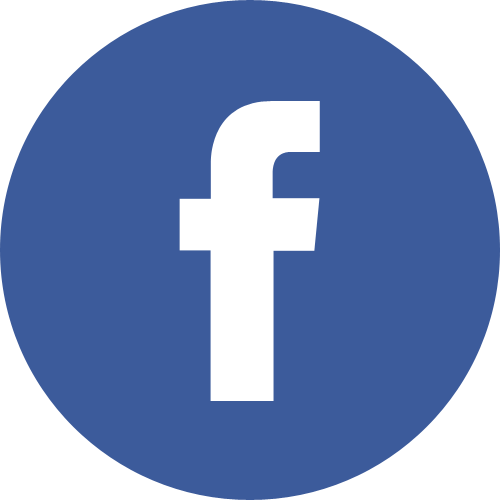 The pattern was written by Virginia Sattler-Reimer. 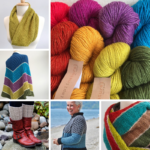 Note: Patterns marked with an asterisk (*) are available at Gosh Yarn It!